Farmgate pig prices have cooled over the past few weeks, leaving them currently 9% lower than this time last year, according to the latest Quality Meat Scotland (QMS) analysis. 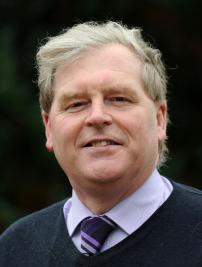 According to Stuart Ashworth, QMS director of economics services (pictured), as the year draws to a close, however, pig prices normally do dip seasonally. “Also contributing to the cooling of producer price is a larger availability of pigs for slaughter in the UK,” said Mr Ashworth. Throughputs at pig price reporting abattoirs, he added, remain ahead of last year’s levels through August but dipped slightly in early September. “With pig carcase weights higher than last year, this modest increase in production will have constrained prices as will a more competitive export market, particularly in Europe, which led to reduced UK export volumes during July,” said Mr Ashworth. Meanwhile, the UK retail demand for fresh pork products continues to struggle. Latest information from Kantar Worldpanel research shows retail purchases of pork in the three months to mid-August to be 4% lower than a year ago although ready meals and processed product consumption has seen some modest increase. However, Scottish producers are seeing more modest price falls than elsewhere in the world. Looking at European pig prices, these are under pressure because of much higher production in the main pig producing nations of Europe – Spain and Denmark but also Poland and Romania – plus static export demand. The Chinese market has become increasingly tough and both Europe and the UK have seen exports their dip, but alternative markets in Asia have taken more product. According to Mr Ashworth, falling prices in the United States are associated with growth in production, but also the sensitivity of commodity prices to changing terms of trade. “The developing trade war between China and the USA has seen China increase tariff rates and physical checks on American pig meat on two occasions over the summer,” said Mr Ashworth. Brazilian producer prices are much lower than last year because the Russian market has been closed to them for technical concerns. “As Brexit uncertainty continues, the examples of the US and Brazilian market show how quickly technical constraints on trade can disrupt supply patterns and impact on market prices,” added Mr Ashworth.